Vitamins for peripheral neuropathy generally target the many vitamins known to support healthy nerves, such as many of the B-complex vitamins. Peripheral neuropathy refers to 100 different types of nerve damage throughout the body but most often affecting the extremities: the hands, feet, legs, toes and fingers. Some forms of peripheral neuropathy heal on their own. With others, the damage is permanent. A network of nerve cells runs throughout the body, relaying impulses back and forth to every organ, gland, muscle and system in the body. These nerve cells become damaged from trauma, such as an accident, or from diseases like multiple sclerosis, diabetes, and many others. When nerve cells become damaged, the impulses they relay may be lost or damaged. Think of a cell phone signal; if there's an obstruction between you and the cell phone tower, the signal is weak, static-filled, or jumpy, with every other word coming through like a weird game of telephone. The same thing happens with the nervous system. When nerves in the foot become damaged, for instance, instead of relaying simple signals such as "I feel pressure from a shoe" the impulse may come across as a burning or tingling sensation. The simple feeling of pressure from shoes and socks may feel like fire, or burning pain, or throbbing. What makes peripheral neuropathy difficult to deal with are the variations in symptoms. Some people experience peripheral neuropathy as a tingling sensation - annoying, but it can be ignored. Others feel horrible sensations of burning pain that keep them awake at night. The difference is in how, where and why the nerves were damaged. Many forms of peripheral neuropathy come on suddenly yet others may develop gradually. If you're troubled by these strange sensations in different parts of your body, talk to your doctor. Get a diagnosis from a qualified medical professional and follow his or her advice. Then and only then, if you'd like to try vitamins or alternative therapies, talk to your doctor. Visit a naturopathic doctor or another holistic health professional well-versed in peripheral neuropathy and alternative therapies, and work with him to develop a treatment plan. The Mayo Clinic recommends several vitamins in relation to peripheral neuropathy. Deficiencies may cause some of the symptoms; meeting and removing the deficiency may help heal them. The interesting thing about vitamins for peripheral neuropathy is that a deficiency of B vitamins, especially B1, B6 and B12, can cause peripheral neuropathy. Your doctor can test for B12 deficiency through a simple blood test. An easy way to try vitamins to ease the symptoms of peripheral neuropathy is to take a B-complex vitamin. Such a vitamin contains all of the major B vitamins in therapeutic doses. Most meet or exceed the RDA and if taken regularly and according to the package directions, should fill the gap in any deficiencies that might be present in the diet. A deficiency of vitamin E may also contribute to peripheral neuropathy. A low dose of vitamin E or a good multivitamin, in liquid or table form, may alleviate vitamin E deficiency. Many people are deficiency in omega-3 fatty acids, and low amounts in the body may contribute to nerve pain. 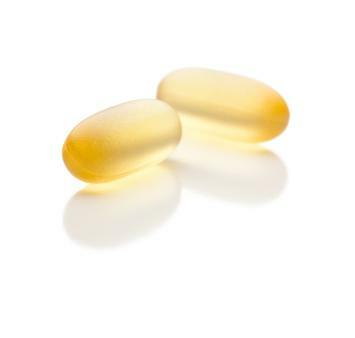 A simple fish oil supplement, krill oil supplement, or increase in the amount of fish you eat can help raise the amount of healthy omega-3 fatty acids in the body. Good overall nutrition is important to prevent and help peripheral neuropathy. As previously mentioned, there are 100 types of peripheral neuropathy. Infections and viruses cause some of these. Vitamins that boost the immune system, such as vitamin C, and antioxidant fruits and vegetables may help alleviate these types of peripheral neuropathy and support the body's natural defenses to combat infections. Talk to your doctor about conventional treatment for peripheral neuropathy. Peripheral neuropathy is often a side effect of poorly controlled diabetes, so diabetics experiencing peripheral neuropathy should talk to their doctors immediately; you may need to adjust the dose of your medications to regular blood glucose and insulin levels. Many medications, including some SSRI antidepressants, work with peripheral neuropathy symptoms by blocking pain receptors. Braces, supportive devices and orthopedic shoes may also be recommended to help patients with this problem. Please do seek professional guidance if you're experiencing sudden pain in the extremities, tingling, numbness or burning, or perhaps trouble walking. Your doctor needs to rule out many things and determine whether you suffer from peripheral neuropathy or another illness.